For Vancouverites who hail from South Africa, the name Muizenberg carries significant resonance. The small seaside town was a hub for Jewish families from the 1900s onward, a place where children played on the long stretch of white-sand beach, young people fell in love, business deals were discussed, family relationships deepened and friendships nourished. So, when the Memories of Muizenberg exhibit opens for its 15-day span at Congregation Beth Israel on July 10, there’s an excellent chance of hearing South African accents in the voices of attendees. 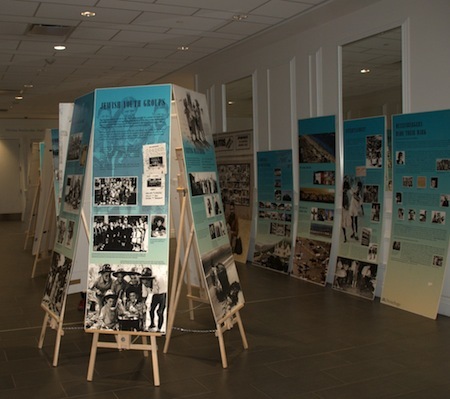 The exhibit was created in 2009, when it debuted in Cape Town, chronicling the Jewish presence in Muizenberg between 1900 and the early 1960s. After that, it began a whirlwind tour to Johannesburg, London, Israel, Perth, Sydney, Melbourne, Toronto and San Diego before it finally landed in Vancouver. For each of its moves a former South African Jew adopted the exhibition, gathering fundraisers, assistants and exhibit spaces in their respective cities. In Vancouver, that man is Stephen Rom, originally from Cape Town, who immigrated to Canada in 1986 and moved to Vancouver in 1992. The exhibit opening in Toronto. Created in 2009, Memories of Muizenberg debuted in Cape Town and has been to Johannesburg, London, Israel, Perth, Sydney, Melbourne, Toronto, San Diego and, now, Vancouver. Rom arranged for the crate containing the 40-panel exhibit to be stored in the warehouse of fellow former South African Lexie Bernstein, and solicited donors to cover the costs associated with transportation and opening night festivities. Muizenberg has a special place in his heart and memories, he confided. Rom’s only regret about the exhibit is that it ends in 1962 instead of continuing. He’s asking former South Africans in Vancouver to email photographs that pertain to their history in Muizenberg and that might be shown as a slide show at the exhibit’s opening night, July 10, 7 p.m. To submit your memories, email Rom at [email protected].